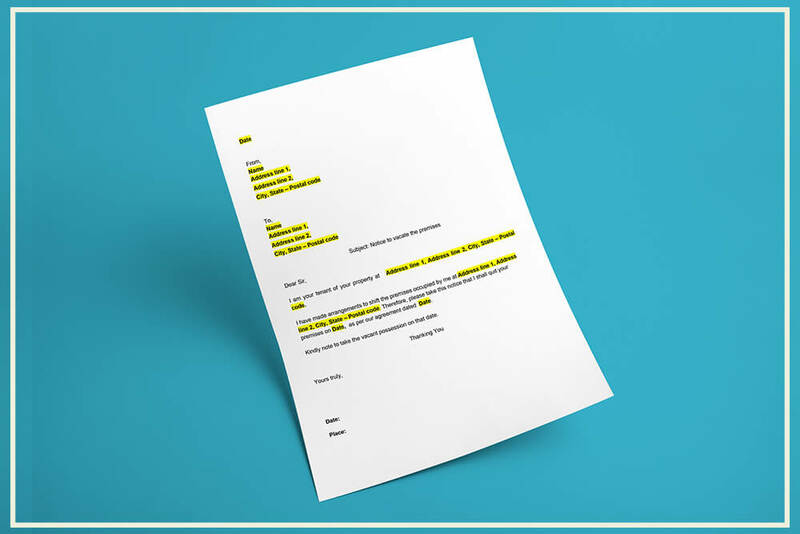 A notice to vacate is a legal document giving written notice to the landlord, indicating the intent of the tenant to vacate a rental premises on a specific date. A notice to vacate can also be given by the landlord to the tenant, putting in writing the landlord’s intent to get vacant possession of the rental property at a certain date, as per the rental/lease agreement. It is important to provide the notice to vacate in writing to the landlord or the tenant to ensure legal validity, in case of dispute. You can also download the Notice to Vacate – For Tenants letter format in the following formats. The notice to vacate format can be used by the tenant of a leased or rental property, putting on notice the Landlord the tenant’s intention to vacate the premises as per the rental agreement. The tenant of the property can sign the document and send the letter through registered post or hand deliver the letter and obtain the receipt acknowledgement of the landlord. 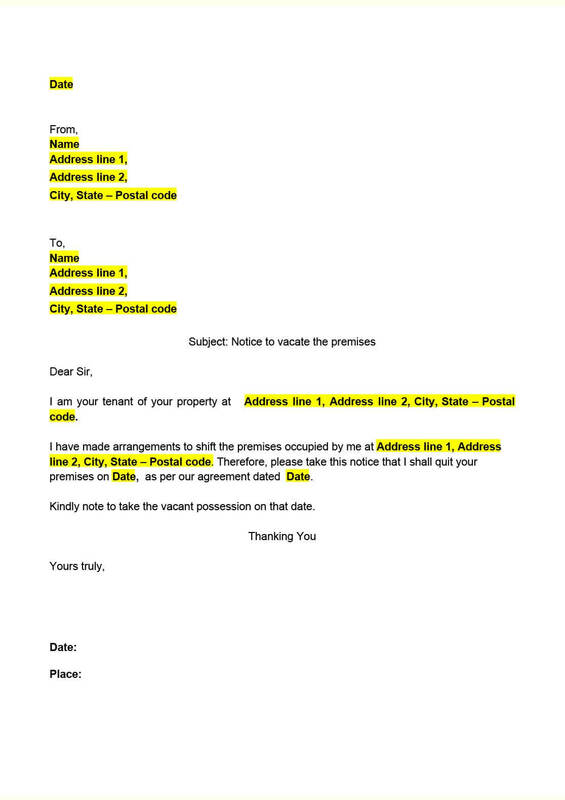 A written and acknowledged notice to vacate letter can be used as evidence in the court of law, in case of dispute relating to the rental of the property. Notice to vacate can be printed on a plain white paper and signed by the tenant. It is best to send the document through registered post. However, it can also be hand delivered or sent through email. In case it is sent through email or hand delivered, it is important to obtain an acknowledgement for receipt. On receiving a notice to vacate from a tenant, the landlord can agree to the request or suggest an alternative. In case an alternate date for vacating the premises is proposed by the Landlord, then it must include landlord proposed date of vacating of premises along with any other terms and conditions.